Edinburgh has recorded its strongest first quarter to date for business travel following record delegate numbers and new business wins. 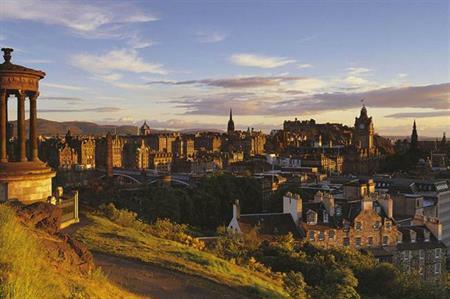 Convention Edinburgh has revealed that it has broken its previous records and targets with 41 conferences and events confirmed in the city during the first three months of the financial year. From April to June 2014, Convention Edinburgh hosted 15,864 delegates across 56 events, generating £20.5m for the local economy. New bid wins, including the Flora Malesiana Conference 2016 and the Association of Art Historians Conference 2016, will contribute an estimated £20.9m to the local economy over the course of the next few years, with more than 16,000 delegates set to travel to the city. Lesley Williams, head of business tourism, Convention Edinburgh, said: "It’s an incredible start to the year and very much down to the hard work of Marketing Edinburgh’s ambassadors, our members and the Convention Edinburgh team. "As a business tourism destination, Edinburgh is competing in an incredibly competitive global marketplace to attract high-profile, high-value conventions to the city. Raising the Capital’s profile to international conference organisers and delegates is the absolute priority and there is always more work to be done."